By now, you likely have most things buttoned up for the holidays. That means you have a secure and fast POS system in place, a killer holiday marketing plan, and seasonal employees on tap for your busy season. But as things accelerate into high gear, there’s an aspect of your business you should monitor closely every day — your inventory. To make sure you’re making the most of the holidays this year, here’s a mission-critical holiday inventory to-do list. Make sure you’ve made strategic inventory purchases. You’re the expert in your industry, so it’s likely you already have a hunch about what’s going to sell well this holiday season. If you don’t, social media is the first place to look to get a picture of trending items. Retail stores, in particular, should check Pinterest and Instagram to see what’s on people’s wish lists, as well as what kind of aesthetic is popular this year, which can help inform the look and feel of your merchandising displays. Fully integreated third-party apps to help run your businesses. But that’s not enough. You should look at some hard numbers — that is, your historical sales data — to make the most informed inventory purchasing decisions. Your Square Dashboard makes this simple. There, you can quickly get a picture of which items or category of items were your most popular last year. You may have sold out of initial mugs, for example, but also items in the accessories category like scarves or mittens. So if you’re low on that sort of inventory this year, stock up now. “Sold out” equals a lost sale. Sync your online and brick-and-mortar inventory. Increasingly, shoppers (and especially millennials) browse for things online and then head into your storefront to actually make the purchase — or vice versa. This is great for getting foot traffic in your store, but may cause you to run into problems if you don’t update your online inventory in real time as items sell out in your brick-and-mortar sotre. At best, that sort of scenario makes for frustrated shoppers. And at worst, it makes for customers who switch their loyalty to another store that’s more reliable. 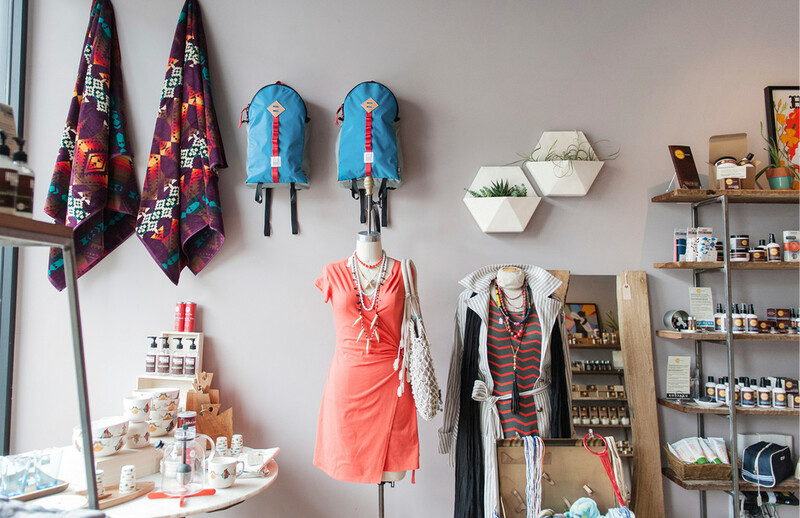 As the retail industry becomes increasingly omnichannel, it’s crucial to integrate software that can sync your brick-and-mortar and online stores’ inventory in real time. Every day throughout the holiday season (and year-round, for that matter), you should have a sense of what’s selling well. That means you should check your real-time Square sales data as well as your daily sales reports (you can do both on the go with the Square Dashboard app). This helps you make strategic marketing decisions. Say, for example, your custom T-shirts are flying off the shelves. That’s a good indication you should promote that item on social media, and perhaps deploy a “going fast” email marketing campaign. You should also display that item front and center in your store window to catch the eye of passersby.